The National Council of Churches, the largest organization of Christian churches in the United States, is now calling for the withdrawal of the SCOTUS nomination for embattled judge Brett Kavanaugh. In a statement released on Wednesday, the church-based organization said Kavanaugh’s behavior during his testimony was enough to pull support of his nomination. “Judge Kavanaugh exhibited extreme partisan bias and disrespect towards certain members of the committee and thereby demonstrated that he possesses neither the temperament nor the character essential for a member of the highest court in our nation,” the statement read. 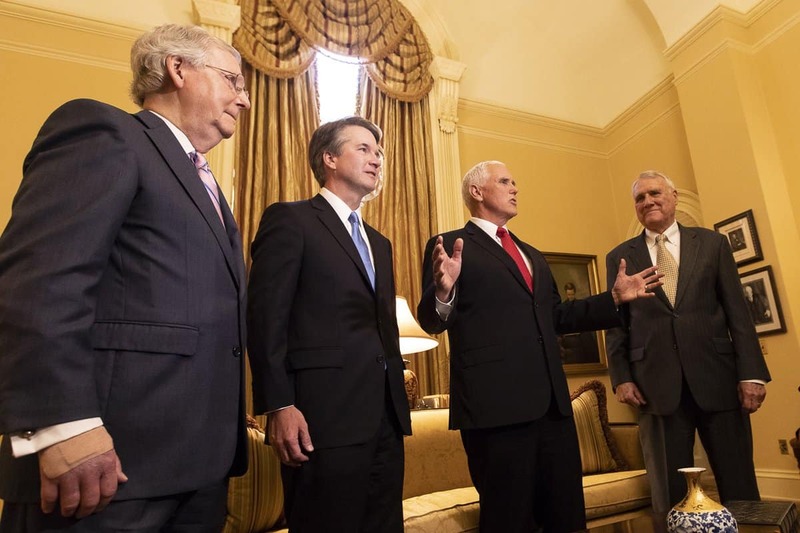 “Judge Kavanaugh’s extensive judicial and political record is troubling with regard to issues of voting rights, racial and gender justice, health care, the rights of people with disabilities, and environmental protections,” they wrote. “This leads us to believe that he cannot be an impartial justice in cases that are sure to come before him at the Court,” the organization’s statement continues. The pulling of support from the National Council of Churches could spell trouble for Kavanaugh’s future as a Supreme Court Justice. The GOP has heavily aligned itself with the Christian community and relies on its support, although the NCC is heavily aligned with progressive Christians and not the GOP’s evangelical base.